day 27: something you ate. 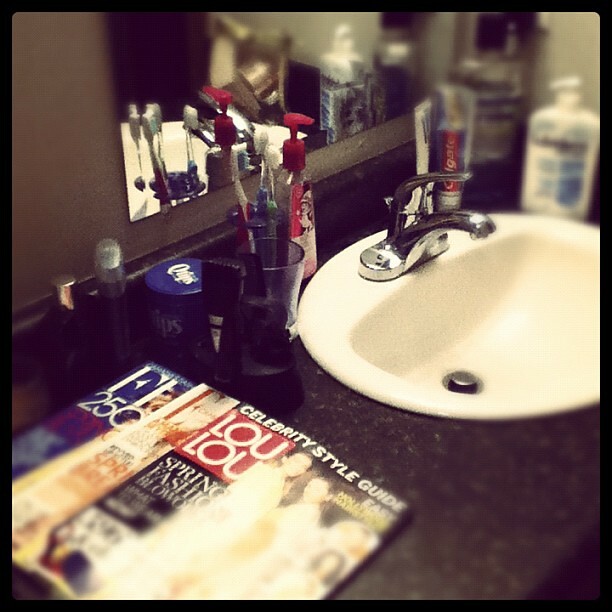 day 24: inside your bathroom cabinet. pg 14-15 birthstone key chains – a giant gem that also doubles as a mini (coloured!) flashlight. cool, right? i know! pg 40-41 bubble bath – WAY too many yummy flavours! …i mean scents :) i love the sugar plum cream one – smells so good! pg 63 white gold lipsticks – great colours with a hint of shimmery gold. and at only $3.99, these lipsticks are a great deal! pg 122 scentini ‘plum twist’ – totally reminds me of body shop’s old “dewberry” perfume! pg 139-141 miscellaneous jewellry – so many pretty shiny things!!! pg 256 astonishing mascara – i’m a big fan of avon mascaras. i always switch it up between this one and the supershock one. so i’ll be sure to stock up since the ‘astonishing’ wands are only $2.99 right now. you should too! pg 258 handcreams & lip balms – supercute holiday packaging! tasty flavours! really cheap! Here is the link for the current e-brochure ~ happy shopping!! sometimes they mean a lot, other times they mean nothing at all. life is all about the little things. started my “3rd year” in the Harry Potter Knitting & Crochet House Cup competition on Ravelry. got sorted into Hufflepuff again, and am hoping to rack up some good points for our house this term. signed up as a pattern tester for 2 separate knits; a market bag, and a triangular shawl/wrap/scarf thingy. have started knitting the market bag, but sadly ripped it all out yesterday after realizing that i had the wrong stitch count (my bad, not the pattern’s). the rental agency who owns my apartment complex has been providing us with a great source of laughter these last few weeks. apparently verbal agreements are all the rage when it comes to leases. yeah… i know, right??!! comedic relief continues in the form of a Todd Phillips film festival. i’m celebrating his clever, mindless humour all week. started with my all time fave, The Hangover. yesterday was dedicated to Due Date (twice! ), and today we’ll be viewing Starsky & Hutch (love Snoop Dogg in this flick!). i may have “pull-ated” (har-dee-har-har) something when doing pilates this week… amazing how simple exercises can really work your core. am feeling it, and am loving the burn. drinking so much hazelnut coffee. lord, we love our Kuerig brewer. thank you Auntie Karen & Auntie Friend Lynn!!!!!!!! last week, my Aunt & Uncle were in from BC and so the ladies all got together for dinner one night. it was really really great to have everyone together, and i had so much fun eating and laughing, and laughing and eating… found out some wonderful news which i cannot share here (yet!). family is the best! there needs to be more nights like that. and thus concludes today’s mini catch-up session.